Is there anything in the world better than hot air balloon rides in Temecula? 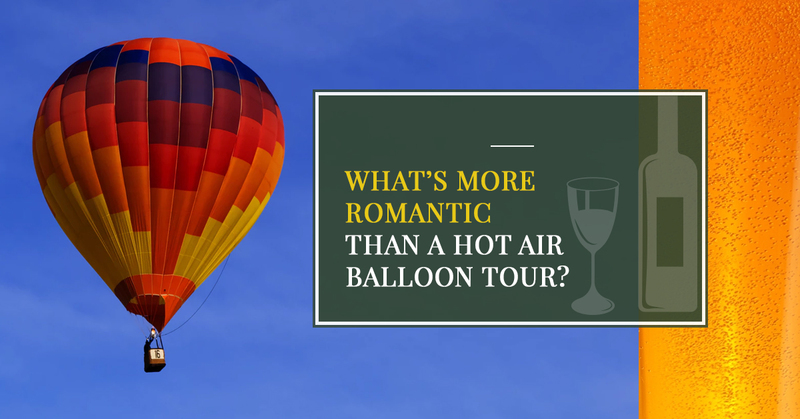 We’d argue that there is not, and that’s why planning a ride in a hot air balloon for Valentine’s Day just might be one of the best decisions you’ll ever make. Treat your significant other to a spectacular view, and you’ll find that it will be a day to remember for a lifetime. If you opt to purchase one of our hot air balloon flights, you don’t even necessarily have to take the tour on Valentine’s Day. Instead, you can present the tickets as a gift and choose the perfect time at a later date. Either way, the beautiful view is sure to put a smile on the face of you and your loved one. That’s why in today’s post, we’ll be sharing three ways you can take your hot air balloon ride to the next level. Keep reading to learn more. You’ve got a lovely view of both the Temecula landscape and of your special someone. Could it get any better than that? Only a little bit, but the answer is still yes. We’ll serve you champagne when you’re up in the air, ensuring that you really do have an experience you’ll both love. Another way you could make the most of your hot air balloon ride? A proposal! Now don’t let us put any ideas in your head if you’re not ready, but if you know you’ve found the one, you should consider popping the question while you’re cruising up high in the Temecula sky. It’s a memory you’ll cherish forever. A limousine ride is the perfect way to cap off such a wonderful experience, and that’s why we’re happy to provide a limousine — or a party bus if your situation calls for it — from the landing location of the balloon. Finish off the day in style, enjoy a luxurious trip to end the day. We can even have special occasion banners adorn your balloon compartment and when you check in at the Monte De Oro Winery for a sunrise balloon flight, we’ll supply you with coffee, champagne, orange juice, and even some light pastries. If this sounds like it’s shaping up to be the experience of a lifetime, that’s because it is. At Uncorked Tours, we’d love to be a part of such a special experience. Whether you dream of taking a sunrise hot air balloon tour or you’d prefer to plan a wine country tour with a trip into the sky at the end, we can help to make this Valentine’s Day one to remember. Regardless of what else you have in store, we think you’ll find that a day spent with us is a day well spent. Learn more about our hot air balloon tours and proposal packages, or feel free to contact us with any questions you may have. We look forward to hearing from you!